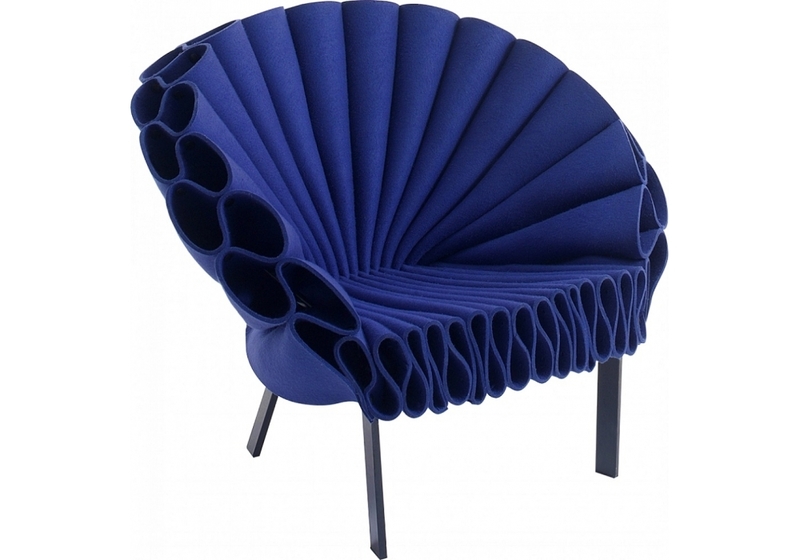 Cappellini, Peacock armchair : Armchair realized with crumpled sheets of felt, one-colour (green or blue) or double-colour (green and blue coupled with grey colour). Base in metal, powder varnished in dark brown colour. Double-colour felt can be used leaving on front side both the coloured surface and the grey one. 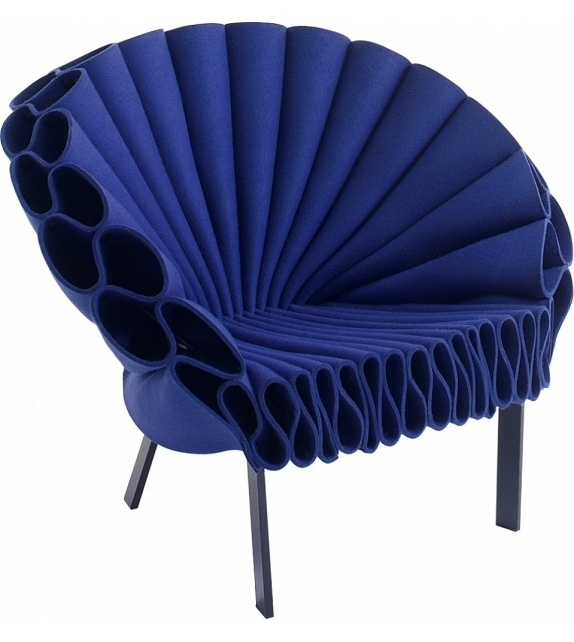 Cappellini, Peacock armchair : Armchair realized with crumpled sheets of felt, one-colour (green or blue) or double-colour (green and blue coupled with grey colour). Base in metal, powder varnished in dark brown colour. Double-colour felt can be used leaving on front side both the coloured surface and the grey one. Design by Dror.